Popular sculptor and painter in England during the Victorian Era, George Frederic Watts OM RA was born in London on February 23, 1817. He was a Symbolist and noted for saying that he paints ideas rather than things. He was famous for his allegorical works. At age 30 he had established his reputation among intellectuals, but as an artist, he only managed to gain popular attention early in the 1880s, when he had several exhibitions, such as the one in Manchester in 1880, London in 1881 and at the Metropolitan Museum of Art in New York in 1884. The strongest influences in his works were several masters from Venice, including Titian as well as Michelangelo. During the twilight years of his career, Watts was the most famous and revered artist in England. His paintings were steeped in complex allegorical messages. Some of his portraits still remain popular, including the portrait of Prime Minister William Gladstone, Lord Alfred Tennyson, JS Mill, a philosopher and Cardinal Manning. One of his best works as a sculptor was the equestrian statue called Physical Energy. His oil paintings, entitled “Hope” was sold for $1.1 million in 1986. He was a contemporary of Alfred Stevens, another Victorian artist. He learned fine art painting and drawing at the Royal Academy Schools and worked in the studio of Behnes, an English sculptor, which had an influence in his style, although he learned more from doing a close study of the Elgin Marbles, which showed in his creation of ideal figures and how he treated draperies. The prize he won in 1843 from the Westminster Hall competition allowed him to visit Italy, where he stayed for four years to study the works of the old masters of Italy, particularly the Venetian Renaissance masters, which, together with the influence of the Elgin Marbles, shaped his mature style. He came back to England in 1847 and again he won a prize in the competition at Westminster Hall, where he entered his work entitled “Alfred Inciting his Subjects to Resist the Danes.” He later got a commission to create a fresco of his winning cartoon at the House of Lords. He also got the commission to decorate the north wall of the Benchers of Lincoln’s Inn, creating a fresco entitled “Justice, a Hemicycle of Lawgivers.” These two were the only important murals during his career. Still, his large canvases were painted in the same quality and style as his frescos. George Watts was likewise influenced by the works of the Pre-Raphaelites and his works also showed some traces of the influence of British master watercolorist, JMW Turner. However, he was not affected by the modern movements in art and actually was quite an isolated painter. He did not suffer from financial difficulties and was able to devote a major part of his life to painting. It could be said that he was on the fringe of the art scene at that time although he was a full member of the Royal Academy in 1867 and was a regular exhibitor at the New Galleries, Grosvenor and the Academy. But while he was a silent worker, he managed to exert a great influence on several artists during the latter part of the 19th century. Although not flamboyant, he was regarded by the public and artists alike with so much awe and reverence that was not accorded to any English artist. In 1902, George Watts was conferred the Order of Merit, and that was after refusing it three times. The portraits of Watts showed seriousness of purpose and idealism, and they presented his greatest qualities. However, very few of his portraits were commissioned. He actually painted them as historical records of the great people during his time. He kept them in his possession until he deemed it necessary to show them to the public. His portraits showed symbols of the greatness of his sitters. He was like Joshua Reynolds in his approach towards portrait painting – isolating the personality from the surroundings and eliminating things that were accidental and momentary. 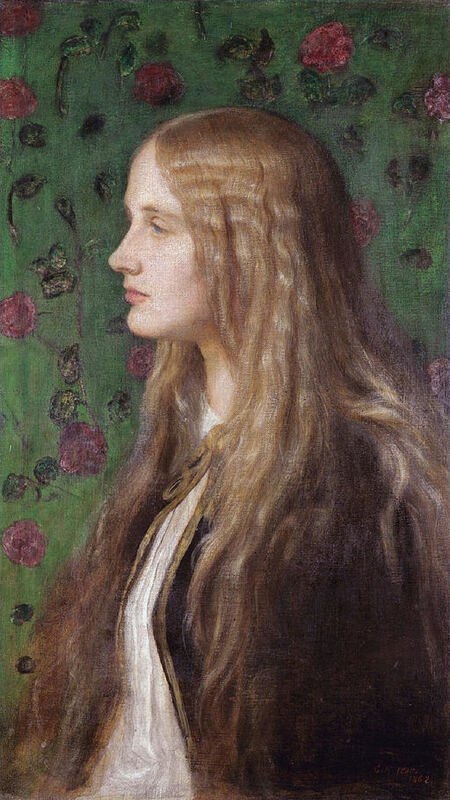 In contrast to the portraits of Reynolds, Watts showed the sitter’s intellect and force of personality. Even with limited colors, Watts showed a dignified and sober richness that fitted well with the purpose. Although he created landscapes, they did not reach the same quality as his other paintings but they were still higher in quality than many of his British contemporaries. Basically his models were great landscape artists such as John Constable, John Crome and JMW Turner. However, he lacked the direct experience of those masters and more or less imbued them with his moods and ideas that did not fit with the subject. 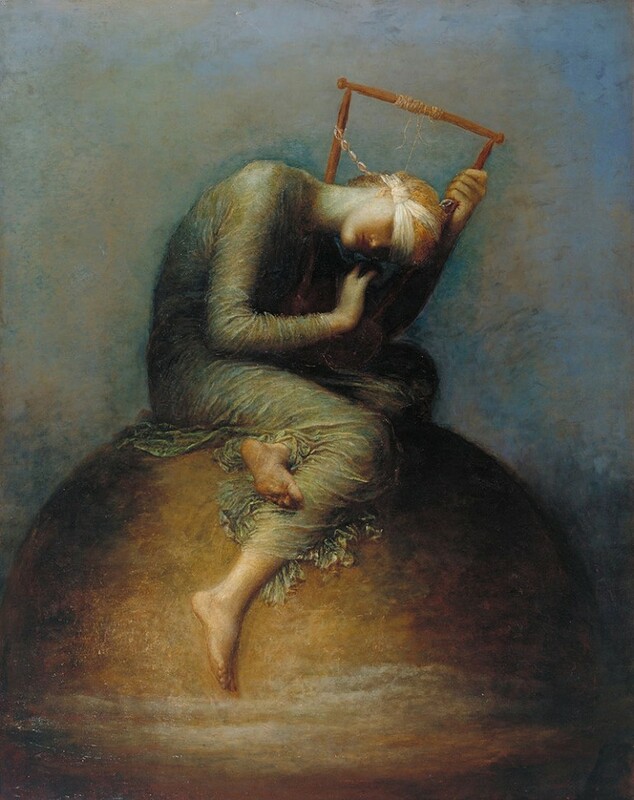 Still the fine aesthetics of his paintings and his steadfast and purpose-filled integrity that inspired his creations positioned George Frederick Watts as one of Britain’s greatest artists.